Jesus is back! Everyone look busy! It’s even got an official title. Gainesville.com – Knute Rockne’s “Win one for the Gipper” speech may seem old and faded now, but it stands the test of time. 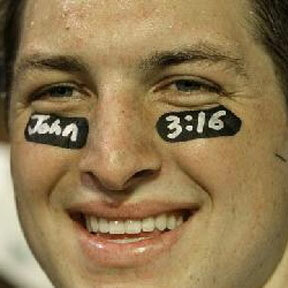 Tim Tebow’s inspirational speech apparently will go down in history as well. 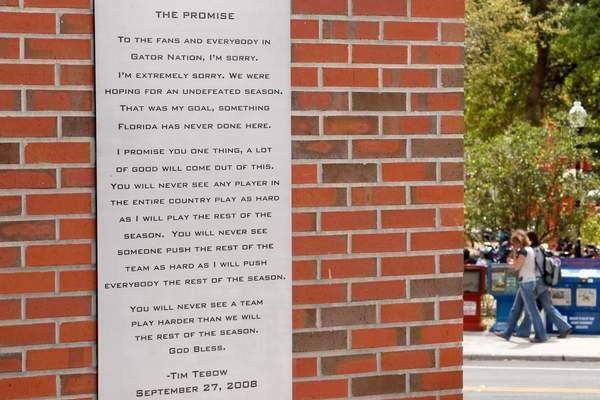 Florida recently put up a plaque outside the front entrance to the new football facility at Ben Hill Griffin Stadium with Tebow’s speech inscribed on it. 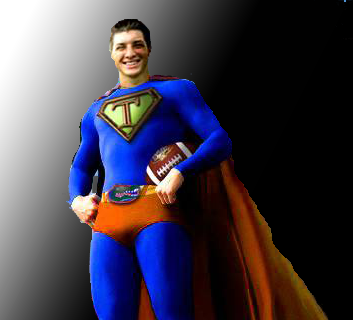 Tebow’s speech, of course, was the emotional promise he made after the Gators were upset by Ole Miss last season. Fighting back tears, Tebow vowed no one would work harder than him and his teammates for the rest of the season. The quarterback and the Gators kept the promise, with UF running the table and winning the national championship. The speech has become famous — and you can see it, word for word, when you walk by the football facility. Wow. I mean putting a plaque up about a legendary speech from a legend after they have graduated, retired, or died, tragically or otherwise, is one thing. But this guy is going to be at Florida next year. I don’t know why the Gators are acting like this guy is Jesus because let’s be honest: if Jesus does come back would he 1. live in the US; 2. live in Florida; 3. play football for UF? I’m going with a “no” on all counts. I know he’s a good guy, but come on. This is going over the top a little bit. And by a little bit, I mean a lotta bit. You can’t fault the kid though (and yes, I can call him a kid, he’s, sadly, younger than me), because he has no future in the NFL when compared to what he’s done in college. 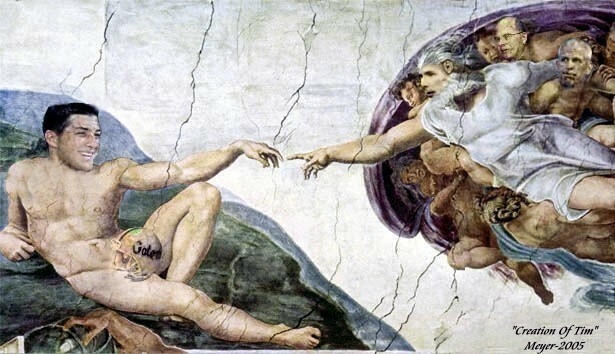 Might as well live it up and act like you’re a god when you can before you fade into oblivion. Too bad Florida didn’t wait until he graduated, because that would have bought an extra year or two of popularity for Timmay. But they did it now, and mark my words, in 10 years or when the Gators get a new stadium, whichever comes first, this plaque will be taken down. Book it. You are currently browsing the archives for the Second-coming category.